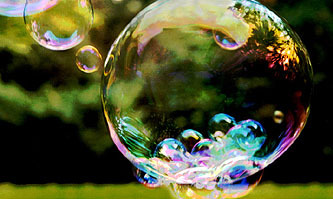 Bubbles occur even as uncertainty about the fundamental value diminishes. We also know that once a bubble starts it’s difficult to stop. Circuit breakers and brokerage fees (transaction taxes), for example, don’t do much to stop bubbles….Investor education doesn’t help (for example telling participants about previous bubbles doesn’t help). Even increasing interest rates doesn’t do much to stop a bubble already in progress and may increase volatility on net. [These] experiments are consistent with the Fed having a significant role in bubble inflation (a theory I have not pushed). In other words, rather than identifying and popping bubbles already on the rise, not blowing bubbles in the first place may be easier and more productive. That would be a start, anyway. More research, please.